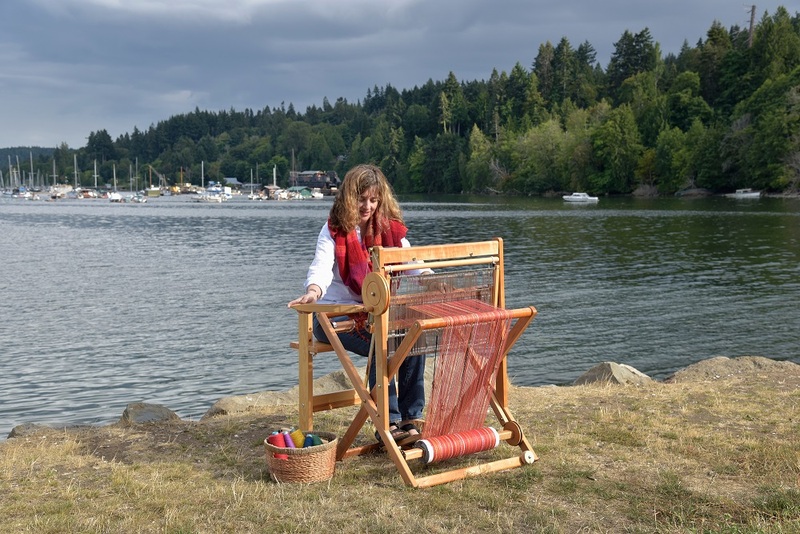 Fibrations is in Victoria tomorrow, August 18 from 10-4pm – a wonderful Community Fibre Celebration! I thought I’d like to make something new to wear. I’ve had a few ideas in mind, but inspired by a recent tunic pattern I just got to work this morning making it and just finished! It is a SAORI silk pre-wound warp – from the SAORI Conference in LA, woven with silk yarns from SAORI, plus sari silk ribbon from Darn Good Yarn. I had finished weaving it in May and it has been waiting. SAORI Kai II - Oh Christmas Tree! So cute!! The fabric is perfect for the style! – Love the continued fringe! Beautiful top, Terri. The community warp looks nice too-I hope you have a great day at Fibrations! It’s so lovely! What a beautiful reminder of a special day! The fabric is beautiful and I love the fringe detail!